Best bet for a bouncing baby boy – you can’t beat the Medium Baby Bunch Blue! Each Medium Baby Bunch Blue is a bouquet of baby clothes that includes: one blue bib, one blue t-shirt, one blue hat, two pairs of socks (one blue pair and one white pair) and one blue one-piece. 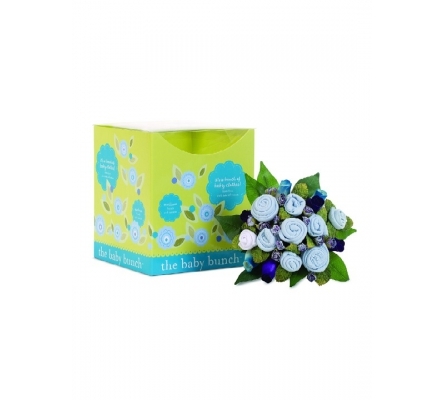 Ideally suited for a baby boy, it arrives wrapped in tissue and nestled in an attractive floral gift box with a crystal clear presentation lid. All baby clothing is super-soft 100% cotton and generously sized for infants 0-6 months, or up to 16 lbs. 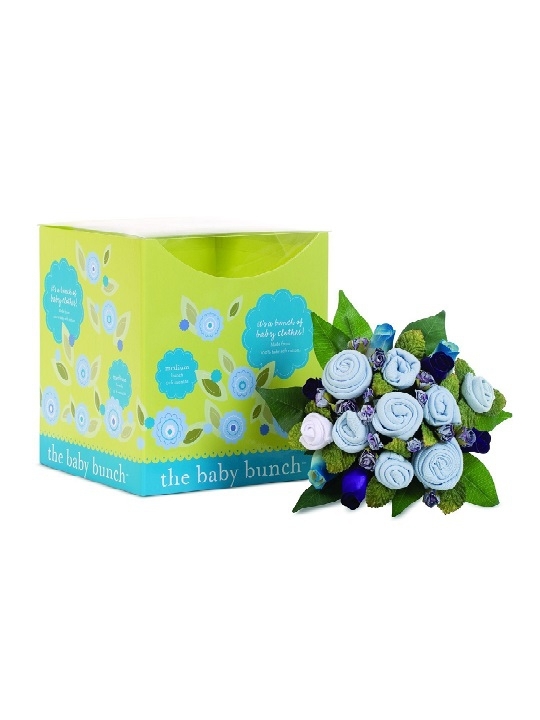 The Medium Baby Bunch Blue is a thoughtful and practical alternative to flowers as a present for a new mom. For a unique baby shower gift, get creative and give a bouquet of baby clothes! Holding the baby shower? The Baby Bunch is an innovative centerpiece that gets people talking.